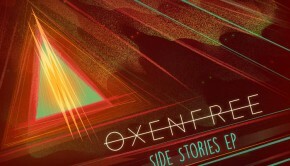 Oxenfree, the teen-drama-thriller game released early this year, was popular enough upon release to upgrade to cross-platform editions of the game, and positive reviews from fans and critics alike. scntfc’s score was also very well-received, meriting a collector’s edition vinyl release, an EP of extra tracks, and a unique alternate reality game that drove players to solve puzzles in the game to discover and collect a real-world prize. The soundtrack of Oxenfree is a strange mix of mournful tones, catchy beats, and eerie radio frequencies – and it works. The opening track, “Lost,” exemplifies many facets of the score it precedes – long, drawn-out chords that change just in time to keep the listener engaged and hearing a rather sorrowful progression overall. Towards the end of the piece, the piece starts including unusual notes. It begins with subtle tone bending – like bending the string of a guitar and back, but so quickly and so lightly that it’s hard to tell if it happened at all. As piece progresses, the chords begin modulating to keys that don’t exist, chords being raised by half steps and then quarter steps. This technique introduces two elements to the score: the ghostly tone of horror/thriller game, and the impression of radio frequencies, which are not only an integral element of the score, but of the game itself, as well. The score continues with “Beacon Beach,” a more percussive piece that reminds me a bit of Darren Korb’s Transistor, albeit without vocals, and with significantly more distortion and general creepiness. The casual beat lasts for most of the piece, giving it more energy than “Lost”, while a punctuated melody constantly descends several octaves up. “Epiphany Fields” is the closest we get to a theme melody for the soundtrack. Aside from the high octave, it’s a very accessible melody, with most of the notes lined up right next to each other in a scalar pattern, backed by an ethereal beat that at once heavily supports the melody while still giving prominence to it. The melody is so simple that it almost comes across as nostalgic, marking this track as one of the highlights on the album. The rest of Oxenfree takes one or more of the already-used elements on the score to recycle it, but each time in a new and unusual way. Strangely high octaves, atonality (by which I mean using quarter tones and random stops on a traditional glissando), and surprisingly normal melodies – all of these help create the unique sound of Oxenfree. I tend to approach ambient soundtracks cautiously, as they often feel far too detached from any memorable listening experience. Despite the strange atonalities and heavy synth element, scntfc keeps the whole score grounded, which continuously surprised me. “Against the Rocks” is a quirky, off-key piece with an odd piano motif in a ridiculously high octave. “Cleanslate” brings in a series of arpeggios with enough musical additions each time the progression repeated – first with added bassnotes, then with a melancholy melody. There are tracks without much activity, particularly around the center of the score – “Kanaloa” and “Deadlight” are more atmospheric than any track at the beginning of the score, and “The Gate” opens by taking one note and twisting it beyond recognition. While certain melodies or rhythmic motifs make themselves apparent after a set amount of listening, I had to work to figure out what those motifs were – they did not rise up in the same way that “Epiphany” did. “Days Past” opens with a welcome pipe melody that doesn’t immediately give a clear direction, but does bring the listener back into familiar musical territory. The pipe sounds almost tribal in some ways, with the flow of the piece being determined by a second pipe that plays harmonies and countermelodies that shift around each time the first pipe repeats its motif. The album closes with “The Beach, 7 a.m.”, which grabs the listener’s attention immediately with a few flurries of three-note bundles. Contrary to the rest of Oxenfree, it sounds hopeful, or at least more positive. Maybe this is simply because it’s tonal (at least the melody is, in any case), maybe it has to do with the slightly more recognizable instruments. Regardless, while dark hints of the rest of the score permeate the background of the track, the melody is bright and clear in a way that the rest of the soundtrack is not. The final few chords boast a tenuous grasp of tonality before fading away. I found the Oxenfree soundtrack to be a constant source of surprise. After a few tracks, I would pin down an overall tone or genre of the soundtrack, but then the following track would break that definition. Listening to it for any significant length of time makes me long for an ordinary song with a melody, beat, and key, but coming back to Oxenfree is like listening to a new score for the first time – regardless of how many times I’ve heard specific tracks. 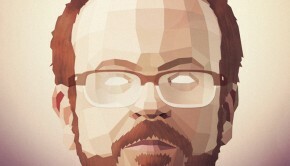 It is clear why the score has become something of an indie fan favorite. 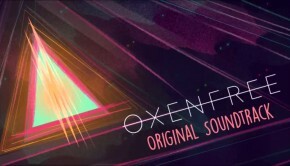 While Oxenfree has an unquestionably continuous sound, if one track doesn’t quite suit your ideal listening experience, then the following track just might. 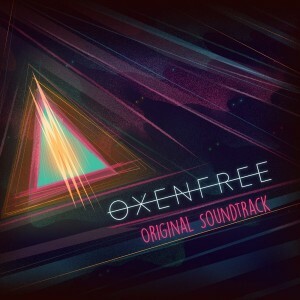 Oxenfree is available for digital purchase on Bandcamp, with a vinyl option available on iam8bit. Posted on July 15, 2016 by Emily McMillan. Last modified on July 15, 2016.